Landmarked 390 Park Avenue is located in the prime Park Avenue office district. It was designed by Gordon Bunshaft of Skidmore, Owings and Merrill and completed in 1952. As one of the first glass curtain wall International Style office buildings in the United States, Lever House continues to be influential in modern office building design even decades after its construction. 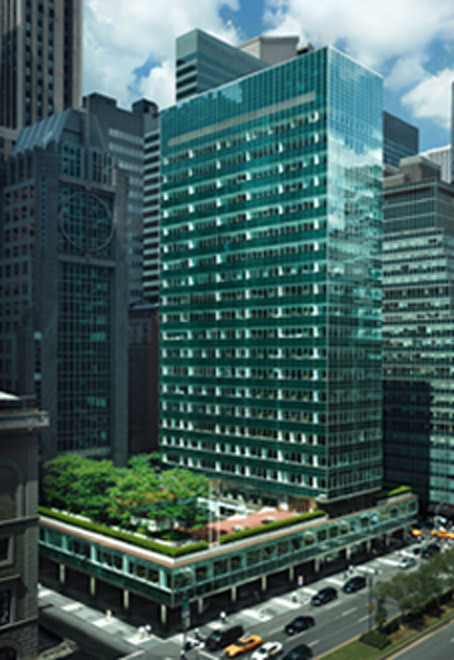 RFR acquired Lever House in 1998 and subsequently completed an award-winning renovation that included a new curtain wall and glass panels, as well as a successful leasing program. 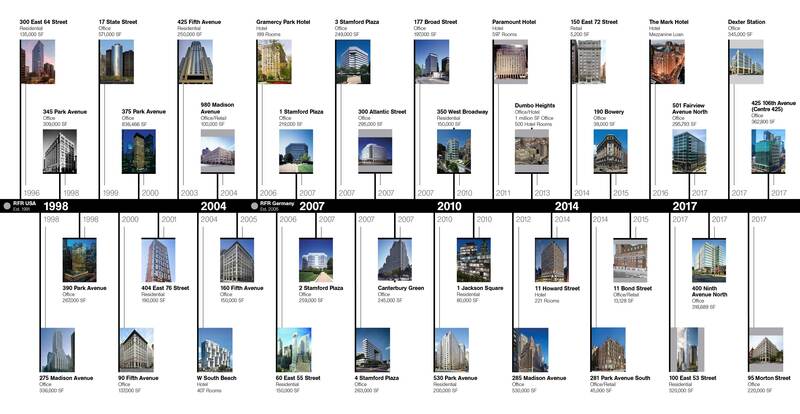 The 267,000-square-foot property consistently achieves market-leading leasing rates due to its favorable floor plans, iconic design and ideal location. It is also home to the acclaimed restaurant Casa Lever. The Lever House Art Collection brings world-class collections of contemporary art into the building's glass-enclosed lobby. Its goal is to form an impressive collection of modern art, as well as to recognize outstanding artists of aesthetic significance. The first commission was a neon installation by Keith Sonnier. Subsequent commissions included ambitious works by Jorge Pardo, John Chamberlain, Damien Hirst’s “The Virgin Mother” (installed on the plaza), Peter Wegner, Barnaby Furnas, Jeff Koons, E.V. Day, Sarah Morris, Folkert de Jong, Tom Friedman, Tom Sachs (with a 22-foot tall HELLO KITTY on the plaza) and Liza Lou in September 2008.